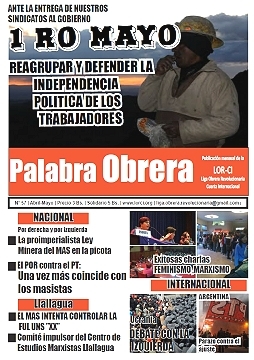 17.07.2014 Wednesday morning, when the national day of action by Lear workers was starting and rallies and demonstrations were taking place all over the country, the company didn´t let four workers enter the factory. 16.07.2014 Lear workers will carry out a National Day of Action with rallies and demonstrations on Wednesday July 16th. At 5 am a rally will be held at the factory gates at Pacheco (an industrial district in northern Buenos Aires); later they will hold a demonstration in front of Ministry of Labor’s Office in Buenos Aires city. 04.07.2014 National and provincial senators and deputies from various parties formally requested a meeting with the US ambassador in Argentina Kevin Sullivan. They want to discuss the serious situation affecting the employees of the North American multinational companies Lear and Donelley. 31.05.2014 The SMATA (automotive industry workers union) leadership asks forrepression against its own members and the left; as it did during the last dictatorship}} The SMATA (automotive industry workers union) leadership has published today an extremely expensive paid announcement in newspapers, in which they do not demand the reinstatement of 69 dismissed workers of Gestamp, nor the cease of more than 15.000 suspensions that are being endured by the automotive industry workers around the country. On the contrary, they demand either the utilization of the police repressive forces or the union thugs to defeat their own union members that are fighting to keep their jobs, such as the Gestamp workers. 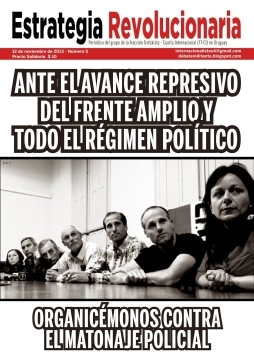 30.05.2014 On the morning of Tuesday 27 May, during a day of action against 69 layoffs at Gestamp automotive industry in Escobar district in Buenos Aires province, a group of 9 dismissed workers entered the factory in a pacific way to demand their reinstatement. 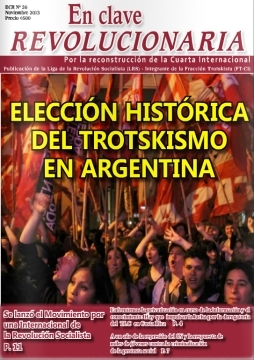 21.05.2014 The PTS (Partido de Trabajadores Socialistas) from Argentina expresses its solidarity with the four postal workers of the Paris Arrondissement 92 who were arrested on May 21st. They have been leading a strike against precarious employment and dismissals for more than 3 months. We send our solidarity to the strikers and the NPA, the political organisation of Gaël Quirante, one of the detainees. We condemn the Hollande government’s persecution of the workers and its criminalization of social protest and we demand their immediate release. 10.04.2014 On April 10th, the combative unionists are calling to mobilize with road blockades and raise an independent programme. 25.02.2014 (PTS/FIT, 02/25/14) The Left and the Workers’ Front will give a press conference next Thursday 27th at 4 p.m. at the National Congress to announce an important emergency bill, which states that every worker should earn at least a living wage and prohibits suspensions and layoffs for 24 months, according to what national deputy Nicolás del Caño (PTS/FIT) informed today. 10.12.2013 (Buenos Aires, 12-9-2013) Christian Castillo, for the Workers’ and Left Front (FIT) provincial deputy for Buenos Aires province, and national leader for the PTS, pointed out that “the police protests have opened a political crisis which is trying to be solved by giving all the demands that the forces of repression are claiming for. 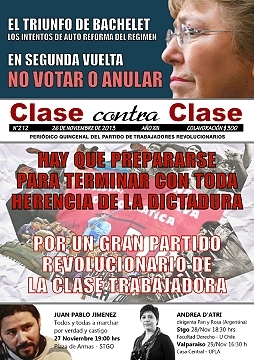 29.10.2013 In a historical day, the Left and Workers' Front won a national deputy representing Mendoza province that will give workers and youth a voice. 10.08.2013 Christian Castillo, for MP, Buenos Aires province Castillo is a sociologist and a lecturer in the Buenos Aires University and in the University of La Plata. He is a leading member of PTS (Partido de los Trabajadores Socialistas / Socialist Workers’ Party). He is the author of “La izquierda frente a la Argentina kirchnerista” (The Left in the Kirchner Era] and is the coordinator of the “Karl Marx – Soclalist Ideas” Institute). In 2011 he was candidate for the vice presidency for the FIT and in the coming election he is standing as a deputy for Buenos Aires province. 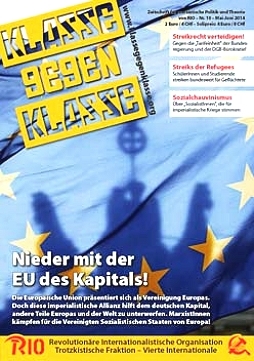 05.08.2013 This new electoral challenge for the Left and Workers’ Front (FIT) takes place at a time when the bosses’ parties are in fierce dispute with each other. The FIT, which is composed of the PTS, Partido Obrero and Izquierda Socialista, has gained political recognition since taking part in the 2011 elections..
16.05.2013 Last Wednesday, thousthands of workers, students, and leftist organizations were part of the Internationalist Workers’ Day rally called by the Frente de Izquierda (FIT, the Left Front). Although there was a change of rain, there was still a great showing at the PTS demonstration and the common rally in Palza de Mayo. New book. "Lenin: Selected Works"
07.05.2013 More than 500 people attended the presentation of the book "Lenin: Selected Works"(Lenin, Obras Selectas), which took place at the Feria Internacional del libro in Buenos Aires.